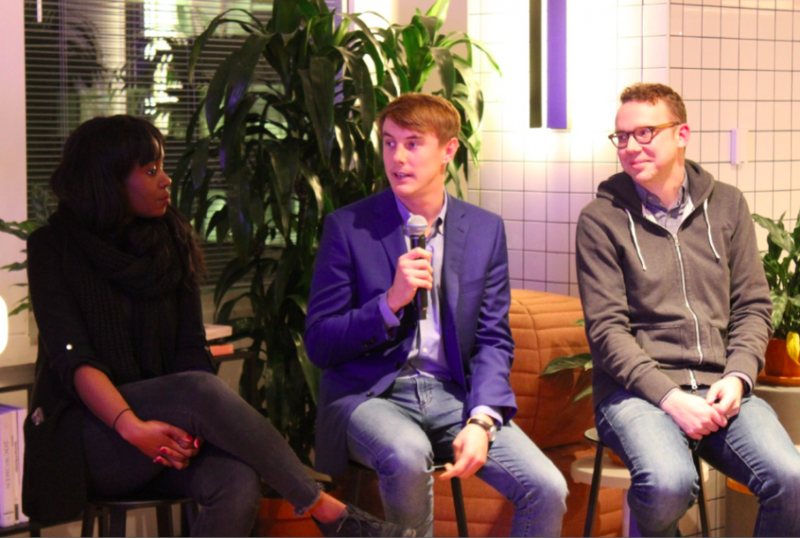 I had the opportunity to speak on a panel at Social Media Week Toronto last month about podcasts and their increasing prominence in the marketing industry. Joining me were industry veterans Dan Misener and Takara Small to talk about how major brands and media companies are thinking about podcasting and genuine consumer engagement. The focus of our discussion was around how people are racing to get into the podcast game, and the increasingly steep competition that brands (small and large) face in capturing the attention of podcast listeners — attention that is extremely valuable: 1 in 5 people in the US listen to a podcast on a regular basis, with 43% of them listening for 6+ hours every week. We’re in the golden age of podcasting, and there’s a slowly closing window of opportunity to get in the game before the masses. With every new medium, there is a period of opportunity where the rapid growth of consumer consumption outpaces the production of content. The brands that move first to take advantage of consumer attention and engagement — the innovators and early adopters — make massive market share gains and gain a loyal following. Eventually, as more and more brands plug into the medium and content is produced, consumers become overwhelmed by the sheer volume of choice and content (we’re seeing this in TV currently), and then the window of opportunity closes. Podcasting, once regarded as a niche channel tailored to small interest groups, is rapidly becoming a dominant consumer behavior and a powerful marketing channel. Podcast listeners are highly educated, have greater spending power, and actually enjoy listening to the ads. NPR found that 75% of their listeners take an action off of sponsored messages. There’s a huge opportunity to reach audiences with podcasts, the question is how to get people to tune in? Orchestrate Word of Mouth with TargetingDiscovery is one of the major barriers to tune-in. New digital tools can be leveraged to hack word of mouth, by reaching the right people with the right message about your content. Social media marketing allows you to micro-segment ads promoting tune-in to your show. Demographic and interest-based tools on allow you to tailor your ads to particular groups of consumers who are more likely to be interested in your content. Remove the Friction on Mobile with “Listen Now”The mere act of tuning into a podcast has traditionally been very frictional due to a lack of natively installed apps and a very scattered Android ecosystem. Last year Apple revamped their native iOS podcasts app, and this summer Google launched their long-awaited natively installed Android app. You can now deep-link directly into these apps from ads on digital channels, so that a click on an ad results immediately in the episode starting to play in-app. 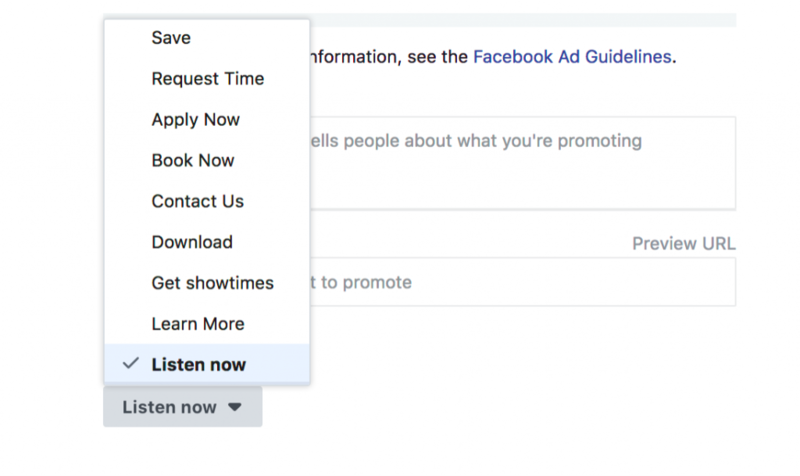 On Facebook and Instagram, you can combine device targeting with the “Listen Now” call-to-action button on ads, making the experience completely seamless and tailored for the prospective listener. Engage Followers with Instagram Music IntegrationThis year saw massive leaps forward in the support of audio on Instagram. It was announced that you can now share Spotify and Pandora content to Instagram stories, making the brand promotion of audio content as simple as a swipe up on a story. This applies to podcasts on both platforms, which means that brands or influencers can promote tune-in to podcasts seamlessly through stories. 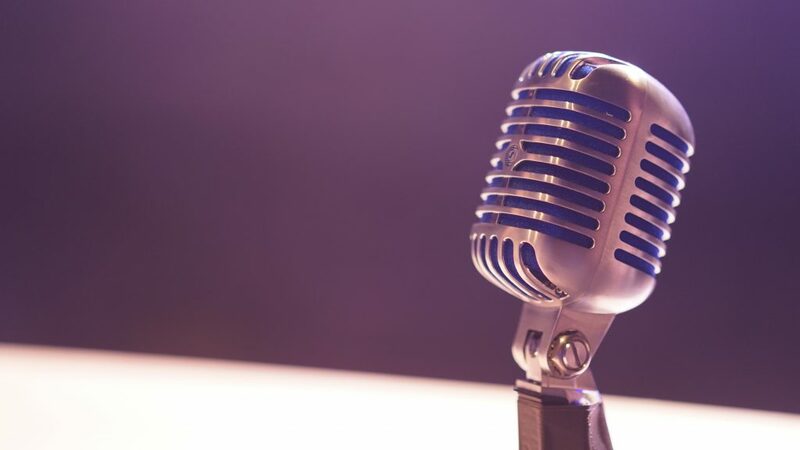 Resist the Ease of Audio Clips in Favor of Host-ReadsFor brands investing in a podcast following, the standard media agency recommendation is to invest in programmatic audio — audio ads delivered within other podcasts. They’re simple to run and require little negotiation. They also are significantly less effective than host-reads. It makes sense… the sponsored message is much less of an intrusion if it’s coming from the host, and it feels more like a genuine recommendation. Go for bullet points rather than exact scripts — it will allow for the host to improvise and use their authentic voice, and listeners can tell the difference. Although it isn’t a hack, truly genuine content is essential to podcast success. Because of the unique mindset and intimate nature of podcast listening, brands that use podcasts merely as promotional vehicles will see podcast listeners reject their content. With a highly engaged base and rapidly expanding consumer demand, an influx of incredible production talent from legacy radio and new seamless ways to deliver the content on digital and mobile, it truly is the time for brands to invest in podcasts. 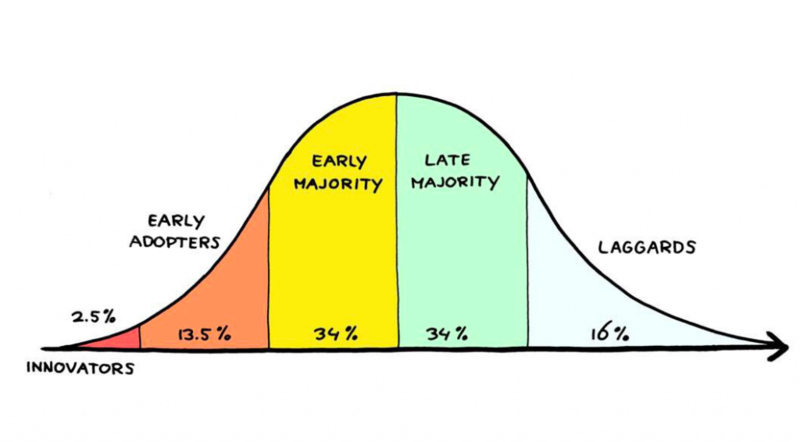 Get in the game before the late majority & laggards! Matt Sutton is a Global Brand Marketing Manager at Facebook. As a believer in genuine storytelling and branded content, Matt has recently taken his personal passion in podcasts to his professional pursuits, partnering with leading podcast experts such as Apple, Pacific Content, Stitcher, and Tune-In over the past year to experiment with new strategies for brands to build awareness and drive tune-in to podcasts.